Bad circulation in feet can lead to a lot of different health problems. It can also be an indicator of existing health problems, such as diabetes. When you increase foot circulation, you can help to alleviate some of those conditions. So, we’re taking a look at the best foot circulation booster machines. 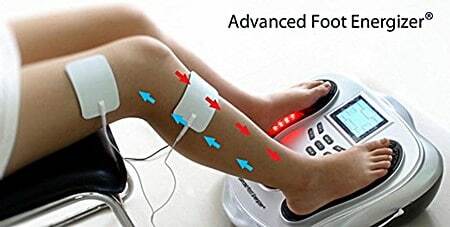 A foot circulation booster machine is designed to help increase blood flow in your feet. If you regularly experience foot pain or discomfort, a circulation stimulator is worthy of your consideration. But, why do you have poor circulation in the first place? Perhaps you live a sedentary lifestyle. If you sit at a desk all day, gravity starts to work against you. Walking allows blood to pump and circulate through the body. When you sit or lay for too long, it becomes harder for that blood to flow freely to the feet. That can create pooling of the blood around your ankles, which may cause discomfort. Of course, there are other culprits related to poor circulation. A circulation booster machine will not only help to get your blood moving again but can assist with any underlying health conditions, such as recovery from toenail fungus. A lack of substantial blood flow can be dangerous if ignored for too long. You won’t only feel discomfort, but those health conditions may become more dangerous. Let’s take a look at some foot circulation machine reviews. If you want to check out our top pick, click on the link to find out more in our in-depth Revitive Circulation Booster Review. 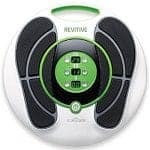 3 What Are the Best Foot Circulation Booster Machines? 5 What Causes Poor Circulation in Feet? 6 What Are the Symptoms of Poor Circulation in the Feet? 8 Is it Safe to Use a Foot Circulation Booster? Foot vibration machines work by allowing electrical impulses to stimulate the nerve endings of your feet. Some also use infrared technology. This helps to add soothing heat to the treatment, as well. Not only does it stimulate blood flow in your feet, but affects all the muscles in your legs. It allows your leg muscles to contract and relax, again and again, stimulating activity, and increasing blood flow. That kind of circulation can work all the way up your legs, for relief. In most cases, all you have to do is sit somewhere comfortable and set your feet on top of the machine to increase foot circulation. Putting your bare feet on the designated area, turning it on, and increasing intensity levels can help you to achieve the stimulation your feet need. Each machine is different, but most suggest using them for 20-30 minutes each day. Consider them to be therapy sessions. You only have to sit and relax. During that time you can watch television, read a book, etc. It provides the medical benefits of physiotherapy into the comfort of your home. With regular use, the idea is to eliminate the negative symptoms of bad circulation in feet and get rid of the pain. Reducing aches and pains with increased blood flow. Minimize numbness and tingling in the legs and feet. It reduces the frequency of onset symptoms. These units are designed to combat the negative symptoms that can come up when you have poor circulation. Whatever discomfort or tiredness your feet may be feeling because of improper blood flow, a circulation booster will attempt to counteract. What Are the Best Foot Circulation Booster Machines? The Revitive Circulation Booster is one of the company’s most advanced products. Revitive is a trusted brand name in circulation-boosting products. So, their advancements can help to improve problems you may experience with a lack of blood flow. The advanced system does precisely what it promises. The Wide Pulse technology is a patent-pending feature made explicitly for Revitive. It helps to increase circulation throughout the legs by up to 53%. Not only can that help your legs to feel more energized, but it can alleviate aches and pains. There are 15 additional waveforms to choose from. This helps your muscles from getting used to the same repetitive motion. If you only use one consistent motion in waves, the muscles in your legs will eventually become just as complacent. Think of it in the same way you would if you exercised, in the same way, every day. Eventually, your body hits a plateau. When different patterns are brought into play, the muscles are contracted more effectively. This helps to ensure maximum circulation is achieved during each use. Additionally, the powerful Isorocker system works double duty for your feet and ankles. The electrical pulses in the machine itself cause the calf muscles to slightly tense up. Then, they relax again. This allows for gentle rocking back and forth on the device. It can help to strengthen your ankles and provide an additional boost in blood flow. So, not only is it circulating the blood in your feet, it’s working other areas of the legs, too. By providing the latest technology in foot circulation care, this unit offers an unprecedented amount of intensity levels. That means that anyone can use this machine. No matter the intensity level you need, you’ll find comfort. It can sometimes be challenging to find a unit with this much power. So, if you struggle with deep aches and pains, or have an underlying medical condition that bothers your feet, you can finally find an intensity level that works for you. If you discover that you need less power, you can use the machine as a relaxing massager. With so many options, you’re bound to find a level that works for you. This is true thanks to the powerful waveforms that work through the unit. Plus, it’s easy to use – just set your feet on the tens pads, and use the remote control to set it to your standards. Revitive is one of the top names in circulation boosters for a reason. This latest unit from the brand doesn’t disappoint. Find Out the Current Price for the Revitive Circulation Booster on Amazon! High-frequency vibration and soothing heat combine in this circulation machine. The Sunpentown Infrared Blood Circulation Massager works all over the body. It can help to boost immunity and fight off illnesses. But, it works wonders as a blood circulator for the feet, thanks to the powerful vibration of the machine itself. This machine is terrific for customizing to your circulation needs. Because it can be used on different parts of the body, it’ll work to strengthen your immune system, and even boost your metabolism. When used on the feet, it focuses on designated pressure points. By increasing blood flow against those pressure points, you’ll notice a difference throughout your legs. Some reviews suggest this product alone helped them sleep, after just one use. If you struggle with something like restless leg syndrome, this machine can accelerate circulation and help to open up blood vessels. It’s not often that you find a vibrating massager that is so versatile. With this circulation booster, not only can you help your feet, but other health conditions as well. Find Out the Current Price for the Sunpentown Infrared Blood Circulation Massager on Amazon! For intense pain or health conditions that affect circulation, the power of this electrical foot stimulator can be a huge help. It is an FDA-approved medical device. Not only can it stimulate circulation throughout your legs, but it can help to alleviate pain and aching. It works by simulating natural muscle performance – contracting and releasing. This allows blood to flow freely through your muscles. It can also help to energize your feet and legs. When it comes to additional features, the Advanced Foot Energizer doesn’t disappoint. First, it contains extra TENS pads, and enough cables to reach almost anywhere on the body. It also includes a small tube of Spectra gel. The gel helps for a more comfortable connection for the EMS and TENS pads. You can either be in total control of your program or use a pre-programmed session. With 99 different intensity levels, even the deepest aches and pains are relieved. Plus, the system has 25 different program modes. They are designed to help boost circulation and get rid of the pain in your feet and legs. With this booster machine, you can stimulate your feet and body at the same time. You’ll find relief all over very quickly. Find Out the Current Price for the Advanced Foot Energizer on Amazon! When looking for the best machine for proper foot circulation, there are specific criteria to keep in mind. 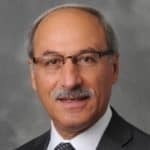 The rating system used here will focus on five criteria. The more you know about each machine as they fall under these categories, the easier it will be to make an informed decision. If a booster isn’t easy to use, you won’t use it often. Different units will have different features, but they shouldn’t be complicated. For the most part, you should be able to sit in a comfortable space, turn on the machine, and have it do all the work. Some factors to consider include a remote control for easier adjustments. Or, a reachable panel that you can control with your feet, so you don’t have to bend down to change power levels and speed. Accessories can be anything extra that might be included with the unit, or whatever is included when you first open the box. While some extra accessories are nice, they aren’t always necessary. The most valuable accessories may be things like extra TENS pads. These are the pads that will go onto the machine itself. After several uses, they’ll likely need to be replaced. If a machine comes with several extra pads on hand, that can save you from having to re-order right away. Other extra accessories aren’t always necessary. 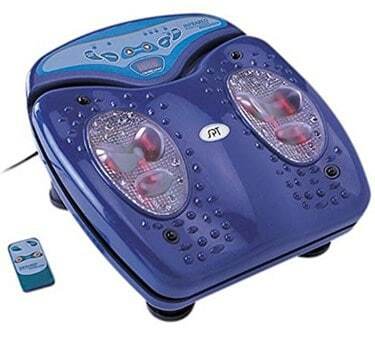 Keep in mind that these units are designed to be circulators for the feet, not necessarily foot massagers for relaxation. Don’t be fooled by the price that goes up just because of a few accessories that may not benefit you. There is admittedly foot circulation booster machines some people get as starter units, because of the cost. If they work well, you might invest in a more expensive machine. Value is based on what’s included in the product for the price. This includes things like the amount of power, extra features, design, and durability, etc. If you’ve never used a foot circulation machine before, it’s up to you how much you’d like to invest. More expensive doesn’t always mean better. However, this machine is typically used to replace things like physiotherapy. So, even the most expensive units are a solid investment, when you could be paying thousands of dollars for the doctor. Take into account the amount of power each unit will give you, and how customizable each can be. When you’re working with a foot vibration machine, power is critical. Some people require quite a bit of power for the electrical impulses to have any effect. If the machine doesn’t have a sufficient amount of power, it may not provide the kind of results necessary to get rid of negative symptoms of poor circulation. Additionally, you should be able to adjust the power according to your needs. Machines that have a wider range of intensity levels are typically better. They put you in control of how much power is needed for each session. The design of these machines should be similar to how easy they are to use. A design should be durable and strong. However, it should also be nice-looking and easy to place your feet on. If the overall design of a unit makes it uncomfortable to use, the other factors don’t matter as much, because you likely won’t use it as much. What Causes Poor Circulation in Feet? If not taken care of, decreased circulation can lead to issues like varicose veins. It can also cause kidney disorders in some cases. If a medical condition isn’t the factor in your bad circulation, it could be due to lifestyle choices. This includes things like diet, lack of exercise, or weight. Sometimes, making better decisions can help to fix the problem. If you struggle with obesity, however, you may experience poor circulation until a significant amount of weight is lost. What Are the Symptoms of Poor Circulation in the Feet? Any pain in the feet or legs after activity. If you feel as though the muscles in your feet and legs cramp easily, especially after using them, it could be a sign they aren’t getting enough blood flow. Numbness in the feet or legs. Changes in skin color, or a shiny appearance to the legs or feet. Slow hair growth and toenail growth on the legs or feet. A weakened pulse rate in the legs. Your doctor will be able to make a diagnosis, so you can begin treating your feet for poor circulation. Sometimes, symptoms will be obvious enough where your doctor can make a decision based on what they see. On other occasions, they may use a stethoscope to check the pulse in your legs. If you’re suffering from poor circulation in your feet, start at the source of the problem. Treatment options may range from blood pressure medications to cholesterol-lowering medications. Other treatments will focus on reducing the negative symptoms. Sometimes, lifestyle changes can help to reduce the negative symptoms. Start exercising daily, but don’t do too much at once. If you’re new to an active lifestyle, starting out slowly will benefit you just as much and will prevent injury. Changing your diet to a healthier one can also help to alleviate symptoms. If you have an existing medical condition, treating that problem is vital in helping to increase the blood flow to your feet and legs. It’s important to inspect your feet and take care of them daily. If you do have poor circulation, follow these simple tips to get started with treatment. Also, foot circulation boosters are great for providing relief quickly. You can use them at home in addition to other treatment options. Even with an underlying health condition, they can help to reduce the negative impact of your symptoms. Is it Safe to Use a Foot Circulation Booster? Most people who use these machines correctly will experience no adverse effects. On a few rare occasions, skin irritations beneath the feet have been reported due to the electrical impulses. Have an implanted electrical device (pacemaker, etc.). Are being treated for deep vein thrombosis. If you have a heart condition of any kind, it’s essential to talk with your doctor before using a circulation machine. They are not just gentle massagers designed specifically for relaxation. Treating the source of poor circulation should always take priority. However, these units can be a big help in boosting the blood flow throughout the legs. The Revitive Circulation Booster provides all of the power needed for safe and effective therapeutic use. While it may not be necessary if you have minor aches and pains, it is the top-of-the-line for treating conditions associated with poor foot circulation. If you have a medical issue that is causing poor circulation, or vice-versa, any one of these machines can help. What’s most important is that you choose a unit that is personal to your own needs. If you don’t have serious circulation problems, a less expensive model should do the trick. However, if you’re trying to avoid endless hours of physiotherapy, and want to experience it in the comfort of your own home, an advanced unit can add to your quality of life. The best foot circulation booster machines offer power and customization. Look for settings you can control easily, and enough power to give you the boost of blood flow your body needs.